I think most woman enjoy spending "girl time" and what better way to do so than with a manicure. I was given the opportunity to host a nail party from Sally Hansen and invited some ladies for a little pampering. I was given a budget to shop for Sally Hansen nail polishes at Walgreens. I went to my local Walgreens and found they did not carry all the varieties of polishes I needed. So calling around to local stores I found a Walgreens who did carry the new collection of Sugar Coat and Fuzzy Coat polishes. The sales lady was very nice and actually set aside some polishes for me to ensure they did not sell out. When I arrived to the store, she had the polishes waiting for me at the beauty counter. 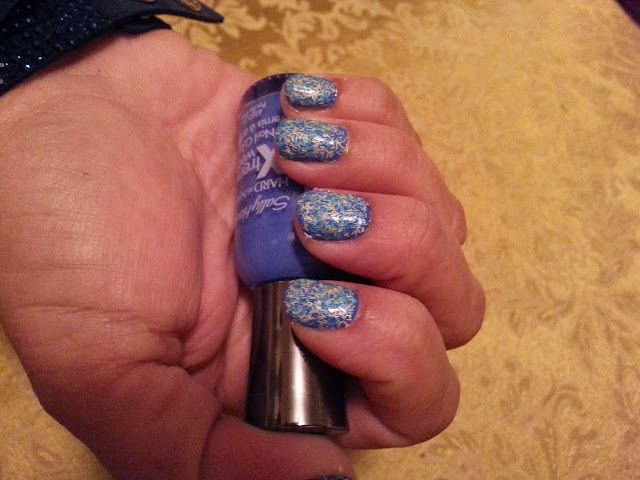 I was happy to find out the Sally Hansen polishes were BOGO 50% off. I was able to buy much more than I expected, and also was given an extra $1.00 off coupon they had in store from Sally Hansen. It was a great shopping experience and the sales lady made it easy for me to use my Balance Rewards Card and told I also had $5.00 worth of rewards. It was a win, win for me on this day! Once arriving home with over 20 polishes for the nail party, I began to research some nail art ideas on the internet. There was so much to choose from and found many other great nail blogs to get inspiration from. 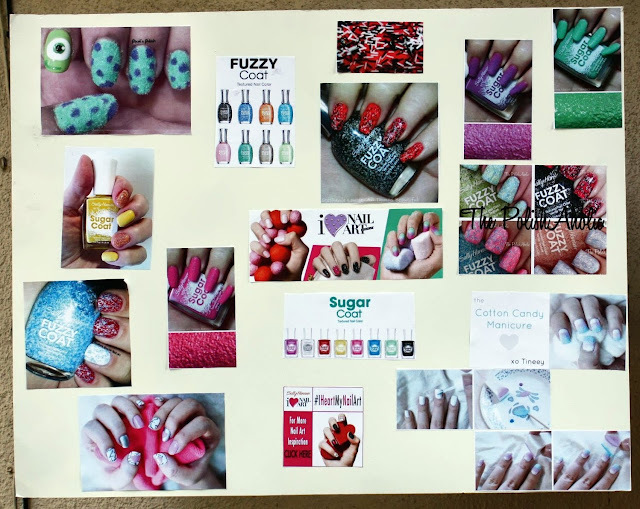 I made an inspiration board with pictures of nail art using Sally Hansen products to help my guest get their creative juices flowing. Do you see a nail art design you like? I was excited for the nail party and to see all the great nail art my guest would come up with. Along with all the nail polishes and other supplies, I also bought some yummy treats for everyone. You can't have a party with out yummy food and drinks! There was plenty of colors and textures to choose from. The treats were yummy, and the ladies enjoyed it all. Once all the ladies arrived, they decided to eat first and then work on the manicures. Can't work on an empty stomach! Everyone a was excited to try out the new textured polishes; Sugar Coat and Fuzzy Coat from Sally Hansen. The sister trying to decide on colors and helping each other with ideas. Before beginning the manicures, all the ladies prepped their nails by filing, pushing back cuticles and adding a base coat. Some ladies were great about polishing their own nails, while other needed a little help. We all helped each other in one way or another, even if it was just selecting a color and deciding on a design. All the ladies seem to be enjoying the process of creating the nail art. 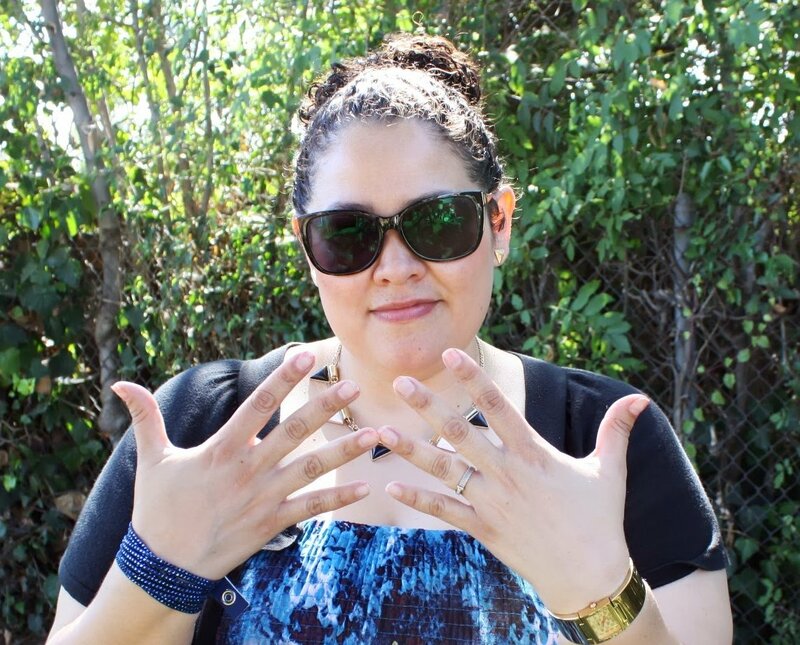 I also mentioned to them about the Sally Hansen #IHeartMyNailArt contest online. I hope they all went home and entered! By the end of the day all the ladies ended up with some fancy nail art. I was excited to give them a little gift to take home as well. All the ladies took home a cute Sally Hansen nail file and the polish they used. Everyone had great ideas and designs it was tough picking a favorite one, but some nail art stood out more. The finished nails from all the ladies. These are some my fave nail art from the nail party. Ying/Yang inspired using black and white sugar coat polish. Cotton Candy inspired nails using white sugar coat and 2 solid color polishes with one accent nail. Most creative: Monster U movie inspired nails using fuzzy coat, gem crush and sold color polishes. Lastly my own nails, which were in major need of a manicure. This nail party was so fun and I enjoyed hosting all my friends. The before nails were ugly and battered from having gel manicures done. My nails after, looked much better. I used a blue solid color and fuzzy coat on top for a textured look. We ended the night with some cake for my sister the birthday girl. My friend and I surprised her with a big cake and we all sang happy birthday to her. You can see more pictures and details from my shopping and party in my Google+ album. 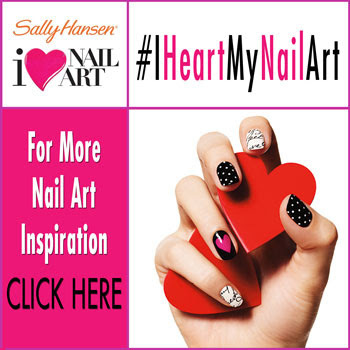 Visit Sally Hansen for more nail art inspiration and enter the #IHeartMyNailArt Contest. Get your own polishes to create nail art at Walgreens. They have some great deals on Sally Hansen products. What a great party idea! Sounds like a great way to spend an afternoon w/ the ladies. The fuzzy coat is something I haven't seen before - definitely gives you a lot of texture. I may just need to try it! Very cute! I love the Monsters nails!! As I scrolled down, I recognized Mike Wazowski! Of course people wanted to eat first, nails afterwards - who wants to smudge her new manicure? Fun party! Food, drinks, pampering, and cake, You can't beat that! I'll have to try that nail polish! The days of winter are coming which will hurt the skin. We must prepare for it. As in the http://www.essay-services-review.com/online-writing-tools/ few lovely things to enjoy the taste of life.